Prime location for all the Las Vegas action! Enjoy unforgettable vacations every other year! Floating week! Inquire for details! With RCI membership, week exchanges for 107,000 RCI points! Buyer may receive a title fee credit, inquire for details! $1,850 or best offer. Week 52 in Exciting Las Vegas! Motivated Seller. Beautiful resort with a South Pacific theme! Experience true luxury in Las Vegas! Buyer may receive a title fee credit! All Offers Considered! Highly motivated seller! Price Negotiable! Resort in the heart of all the action & entertainment on the strip. Bring Offers!! Come to Las Vegas and enjoy all the excitement and entertainment close by! Buyer may receive a title fee credit, inquire for details! Great resort in the heart of Las Vegas! Week 52! Royal Tahitian unit! Buyer may receive a title fee credit, inquire for details! Enjoy relaxing vacations with the excitement of Vegas nearby! Buyer may receive a title fee credit, inquire for details! Stay close to the Las Vegas strip! Annual floating week! Buyer may receive a title fee credit, inquire for details! Prime location close to many attractions and activities! Odd year floating week! Inquire for details! Price Negotiable! Prime location near exciting activities! Buyer May Receive A Title Fee Credit, Inquire For Details!! Enjoy annual getaways to Las Vegas! Buyer may receive a title fee credit, inquire for details! With membership, week exchanges for 79,000 RCI points! Buyer may receive a title fee credit, inquire for details! Ideal location to enjoy endless attractions day and night! Floating week! Buyer may receive a title fee credit, inquire for details! 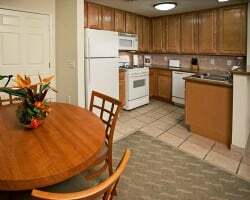 Vacation in Vegas in this Fabulous 2 bedroom Lock out Unit. 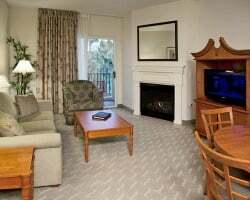 Vacation up to 2 times a year With sale come one additional week. All offers Considered! Motivated seller bring all offers! Priced way under market value. Full week still available from 2018 to be used this year or in 2019. Inquire now! Go to the beach on the Las Vegas Strip! Odd years floating Platinum week! Buyer may receive a title fee credit; inquire for details! Vacation in Tahiti in Las Vegas! Yearly floating week! Buyer may receive a title fee credit; inquire for details! You will think you are in Tahiti! Even years floating week! Buyer may receive a title fee credit, inquire for details! 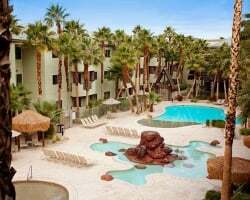 Enjoy tropical Tahiti in Las Vegas! Buyer receives complimentary closing credit; inquire for details! Serious offers considered! Enjoy this tropical paradise in Las Vegas! 120,000 biennial odd points for exchange! Make offer!